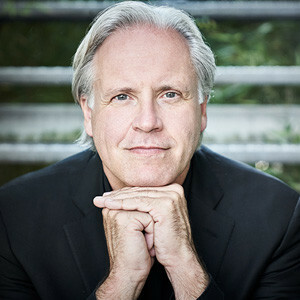 MARKUS STENZ 2018-2019 Season Highlights | Kirshbaum Associates Inc.
German conductor Markus Stenz is known for his vibrant, masterful musical interpretations; the breadth of his artistry has earned him the reputation as a prized collaborator and passionate performer, especially of German orchestral music, and of operatic scores. Since his debut as an opera conductor at La Fenice in Venice, he has conducted many world premieres and first performances including Henze’s Das Verratene Meer in Berlin, Venus und Adonis at the Bavarian State Opera in Munich and L’Upupa at the 2003 Salzburg Festival. Markus Stenz has appeared at many of the world’s major opera houses and international festivals including La Scala in Milan, La Monnaie in Brussels, English National Opera, Lyric Opera of Chicago, San Francisco Opera, Stuttgart Opera, Frankfurt Opera, Glyndebourne Festival Opera, Edinburgh International Festival, the Bregenz Festival (with the world premiere of Solaris by Detlev Glanert in July 2012) and Salzburg Festival. In Fall 2018, Markus Stenz makes his conducting debut at Teatro alla Scala with the highly-anticipated world premiere performance of Fin de Partie, the first opera by internationally-heralded composer György Kurtág, composed at the age of 91. Based on the famous Samuel Beckett play, commonly performed in English as Endgame, the operatic version, to be sung in French, stars bass Frode Olsen, baritone Leigh Melrose, contralto Hilary Summers, and tenor Leonardo Cortallazzi in a production staged by Pierre Audi.